This is not a normal “recap of last month” adventures & episodes post… but I feel like it falls under the umbrella of that particular blogging category of mine, seeing as how I am about to recount to you a kind of lengthy and ongoing adventure upon which I have traversed over the past seven years…. I have become aware of a hashtag going around this month specifically celebrating indie authors. Well, I couldn’t let that pass me by, not when I AM an indie author! But today is not really about me. I mean, it is… but it’s not about my journey as an AUTHOR. Nope, today is all about my journey as a READER. But seriously. I have always been a reader first and foremost, an author second. I love creating and writing stories, but this springs mainly from a soul that just loves reading stories. I write the stories I want to read. When I published King’s Warrior, way back in 2012 (wow, that was seven years ago already!) I started a different kind of journey. One where I got to actually meet (virtually) authors like me, who were setting out on their own, without the support of a publisher. I made a lot of mistakes back then, but one thing I did right was I started reading other indie authors. However, at first that did seem like a mistake. I found some pretty awful books. Some were poorly written, some were poorly edited, a few had objectionable content and I stopped reading them. For a while, I gave up on indie authors. They weren’t worth my time or money, I decided. And I seriously almost gave up on publishing, as well, because if that was all people thought indie authors were capable of, I didn’t want to get lumped into that particular category. Somewhere in the midst of the chaos of the internet, I found a book and an author that I enjoyed reading. I honestly don’t remember exactly how I found out about DJ Edwardson. I had just learned how to create a facebook author page and I had done a few “follow for follow” type exercises and was active on a few writing forums with other indie authors, and at the time I was doing a “Featured Artist Friday” thing on my blog and apparently DJ volunteered to be interviewed. He had just published Into the Vast, his first book, and reading about his philosophy on writing and the authors he admired intrigued me, so I bought a copy of his book and read it in January 2013. And it was fantastic! You can read my fresh-from-the-page review that I wrote about it HERE. I had to wait (somewhat impatiently) while he wrote the rest of the trilogy, but it was worth it! Not only did I find an author of amazing books, but also a friend and blogging co-conspirator as DJ also came up with the spark that lit the fire of the annual Silmarillion Awards event! A few months later, again, I’m not entirely certain how or why I was following this author, but facebook informed me that there was an author book-signing happening at the Barnes and Noble near where I lived. I had just done a book signing of my own the year before and was curious to see how others handled that type of event. I did a little research on the author, determined that this was, in fact, someone whose books I wouldn’t mind buying (didn’t want to go to a book-signing and not buy a book), and sallied forth to learn what I could. That author was Anne Elisabeth Stengl. This absolutely blew me away! Here was a traditionally published author with Bethany House, and she’d heard of me. And at HER book-signing, she was taking the time to ask me about MY book?! I walked away from that encounter inspired, and determined that if I ever got to that level, that was the sort of author I wanted to be. Now, at the time, she wasn’t an indie author… but she has since dived into that realm. And she is one who has had such a positive impact on my journey both in reading indie authors and being an indie author myself, that I can’t NOT mention her in this post. I read Heartless and quickly got entranced by the world of the Goldstone Wood. I have now read every book this author has written and am eagerly looking forward to more from her! Stengl has swiftly risen through the ranks to become one of my all-time favorite authors ever. If you haven’t read her books, I cannot recommend them highly enough. I have reviewed most of them, and you can check them out on my Recommended Reads page! The next indie author I read was my dear friend and kindred spirit’s book, Haphazardly Implausible. Jack Lewis Baillot (which is her pseudonym) has been a long-time blogging buddy of mine, and she also has the distinction of being the author of the first steampunk book I ever read. 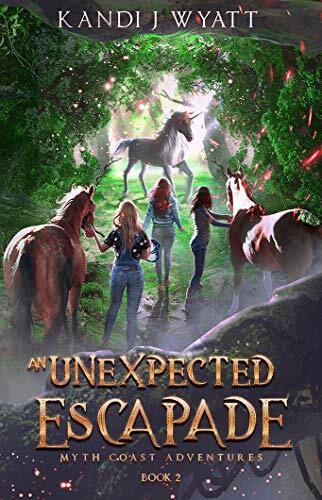 I loved her book and her writing style so much, and was starting to see glimmerings of hope that there were other fantastic indie authors out there with books that I could wholeheartedly enjoy. A year later, I read The Word Changers, by Ashlee Willis. I’m pretty sure I found this author through Anne Elisabeth Stengl’s blog… and found yet another story that I loved. This book is so sweet and beautiful, and I fell completely in love with the characters. If you haven’t read it, you should definitely pick up a copy! About a year after that, I bought Sew, It’s a Quest by Kendra E. Ardnek, another blogging friend. I read it while on vacation in January 2015 and absolutely fell in love with it. Upon returning home, I quickly bought the other two books in the series and devoured them, as well. If you like fairy tale mashups with a lot of twists and turns along the way and quirky characters… Ms. Ardnek is the master, hands-down. Shortly after reading the Bookania Quests, I found out that my story submission to the Rooglewood Press Five Enchanted Roses contest had WON! Through the process of editing and being published in that anthology, Anne Elisabeth once again introduced me to a dear friend as well as a spectacular author: Savannah Jezowski. We commiserated over our intense edits, and rejoiced together when it was all over. I loved her story “Wither” which comes right before mine in the anthology, and was even more thrilled to be an early beta reader for After, which just released last year and was one of my top reads in 2018. Savannah does such an excellent job of combing a somewhat gothic type of fantasy with the sweetness of a fairy tale style and a strong ray of hope in the midst of her poor characters’ trials. Once Five Enchanted Roses released, I needed a break from writing, so I picked up a copy of Orphan’s Song by Gillian Bronte Adams. I have not yet finished reading the trilogy, but it’s high on my list! Apparently I never got around to writing a review (probably time for a re-read so I can finish the series) but I remember enjoying a story that features gryphons and I liked the characters quite a lot. I also remember that the book ends on a cliffhanger, so have the next book handy if you pick this one up! When I finished Orphan’s Song, I “met” J.L. Mbewe online – I think this was also through Anne Elisabeth’s blog – and read her book Secrets Kept, and oh, man… got sucked in immediately and was loath to leave the world when the final page had turned. The story, characters, and writing style are all FANTASTIC. The second book is also amazing, and I hear the third book is coming soon! I can’t wait to see how it all ends! The Clean Indie Fantasy group decided to create an online book club The Fellowship of Fantasy, and through that group I also had the great pleasure of reading The Beast of Talesend by Kyle Robert Shultz in 2017. I had already known Kyle a bit, as he had participated in the 2016 and 2017 Silmarillion Awards, but even after reading his blog for a while, I was unprepared for just how much fun his books are. The wit and humor is so well-blended with high stakes and end-of-the-world type scenarios. I recently blitzed through The Tomb of the Sea Witch and The Stroke of Eleven and got started on The Janus Elixer… so be on the lookout for more reviews of this fabulous series coming soon! If you’re looking for an awesome book club to join and you love speculative fiction… I highly recommend the Fellowship of Fantasy! Through the Fellowship of Fantasy book club and Clean Indie Fantasy groups, I have been introduced to over a dozen other incredible authors and their wonderful books. I have loved all of them to varying degrees, and am hoping to spend some of my blogging time this year catching up on reviews for these stories that have held me captive and introduced me to so many fantastical lands and entertaining characters. And that’s my reading journey into the world of Indie Books. It is not finished, not by a long shot, but it was fun to reminisce about how the winding road meandered along from one author to the next, and I hope you found it an enjoyable read, as well. All of these authors put out extremely quality work. Perhaps one of these authors intrigues you, as well? In that case, I invite you to come along on the journey! Hey all! I hope you are having a lovely March. Life is crazy and I’m still hiatus-ing a bit (mostly because I’m still up to my ears in boxes that need to be unpacked! And because we don’t have internet hooked up at the house yet, which may still take a few weeks), though I’m hoping to get back into the swing of things soon. I’ve got a character interview posting later this week and I’ll hopefully get on here with a few pictures of Bag End next week, and I’ve got a long list of posts I want to write so I’ve got some great content coming for ya! But today, I just wanted to pop over and inform you that I was invited to be a guest post about “What Inspires My Writing” over at the amazing Ashlee Willis’ blog today. Click HERE to come read about where I draw inspiration for all my stories! Would love to see you over there!